This is the season of award shows. Last week we had the Golden Globes. We’ve just had the nominees for this years Academy Awards announced. But have you ever wondered how your favorite artist gets their song in those nominated categories at these shows? In many cases, it is the producers of the film or television project that submits projects for consideration. There is a committee of people who choose the nominees. And the producers of the movie or television show will mail a copy of ther movie or broadcast on DVD to each of the committee members. They watch the submissions and choose their favorites. These copies are known as screener copies and are generally watermarked in some way, to prevent the leak of these items to the internet. Obviously the fact that these screeners circulate, sometimes even before the film or television show is released, makes the leak of these items quite difficult. In 2003, the Motion Picture Association of America tried to cease distribution of screeners due to fear of copyright infringement, however, to this day they are still in circulation. Wait now. U2 has been nominated for some of these awards? Does that mean there are unique screeners of some of U2’s work out there? Why yes, there are. 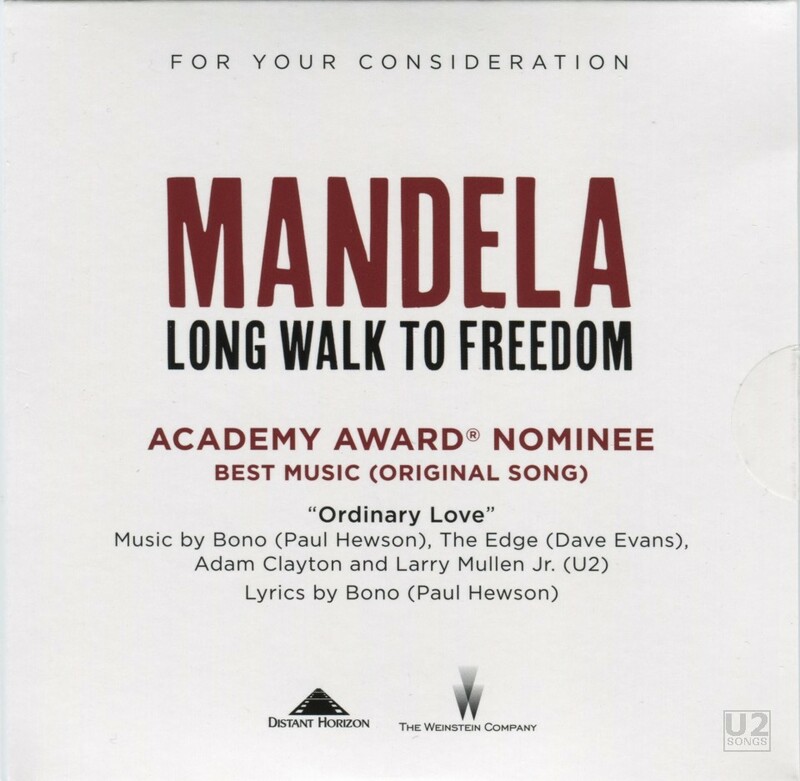 “Ordinary Love” was nominated for both an Academy Award and a Golden Globe in 2014. The song itself was distributed in three known formats “For Your Consideration” in advance of these shows in both CD and DVD format. 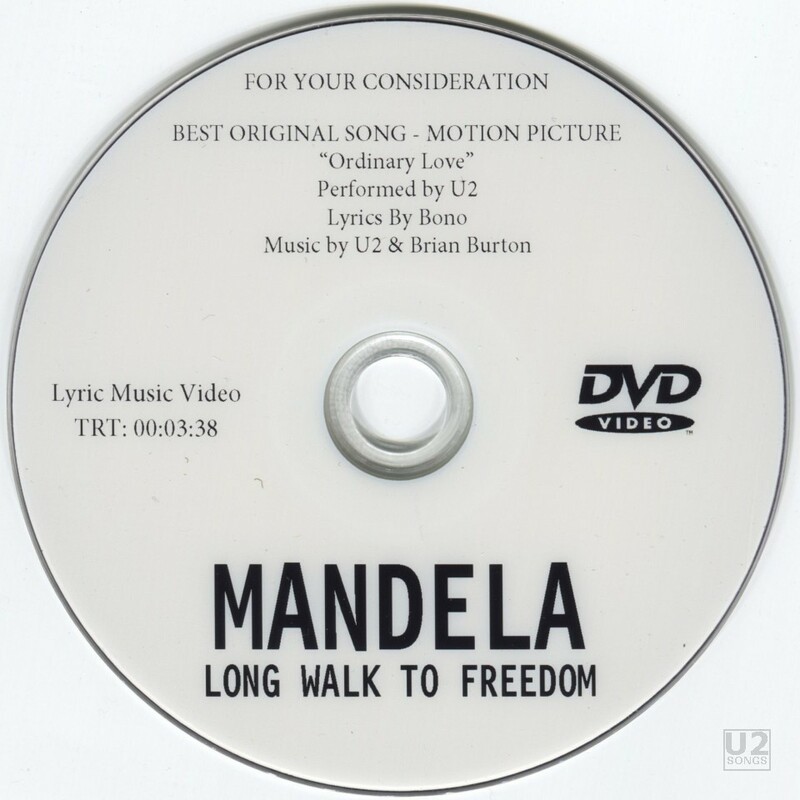 The first discs which appeared were a 5-Inch DVD which featured the lyric video for the song “Ordinary Love”. It was quickly followed up by a 5-Inch CD, released in a card sleeve. Some copies of this were sent out in a plain jewel case instead of the card sleeve. This first card sleeve that was released had a picture of Nelson Mandela on the front, which was also used for the cover for the 10-inch released on Record Store Day. Finally a third format was sent – once again a 5-inch CD, this time with a relatively plain white cover and plain text only CD. 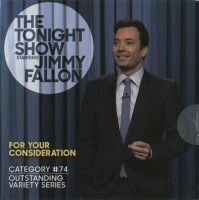 The first season of “The Tonight Show” with Jimmy Fallon was solicited for an Emmy Award in the category “Outstanding Variety Series”. The producers produced and sent out a DVD containing the full first episode of the show, in a custom card sleeve. 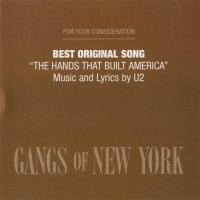 The video runs 44:32 in total and is one single video and not broken into smaller segments, but the show has the complete first episode, which is indeed the night where U2 appeared, first on the rooftop to perform their new song “Invisible” and later in the studio for an interview, and a performance of “Ordinary Love” with house band The Roots. 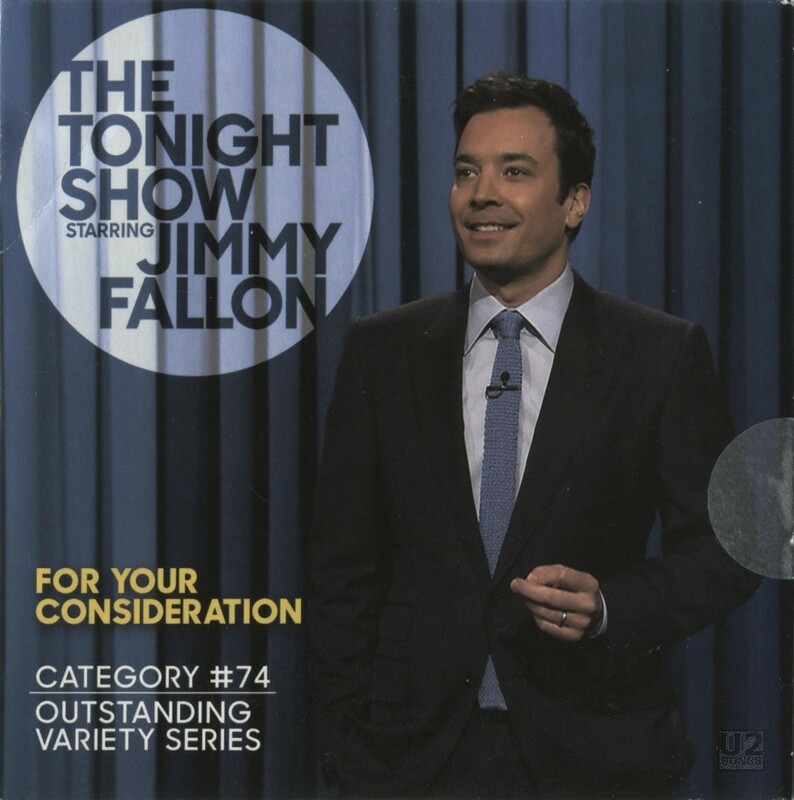 These performances have not been commercially released elsewhere, so the DVD “for your consideration” is a nice little collectible. Especially with a lack of B-Sides or bonus tracks in the current era. Now this has to be an odd one. But even music award shows try to win Emmy Awards sometimes. In this case the music award show was the “My VH-1 Music Awards”. This was a music awards show which took place in 2000 at the Shrine Auditorium in California. This item predates DVDs and was back when VHS tapes were still being sent to voters. 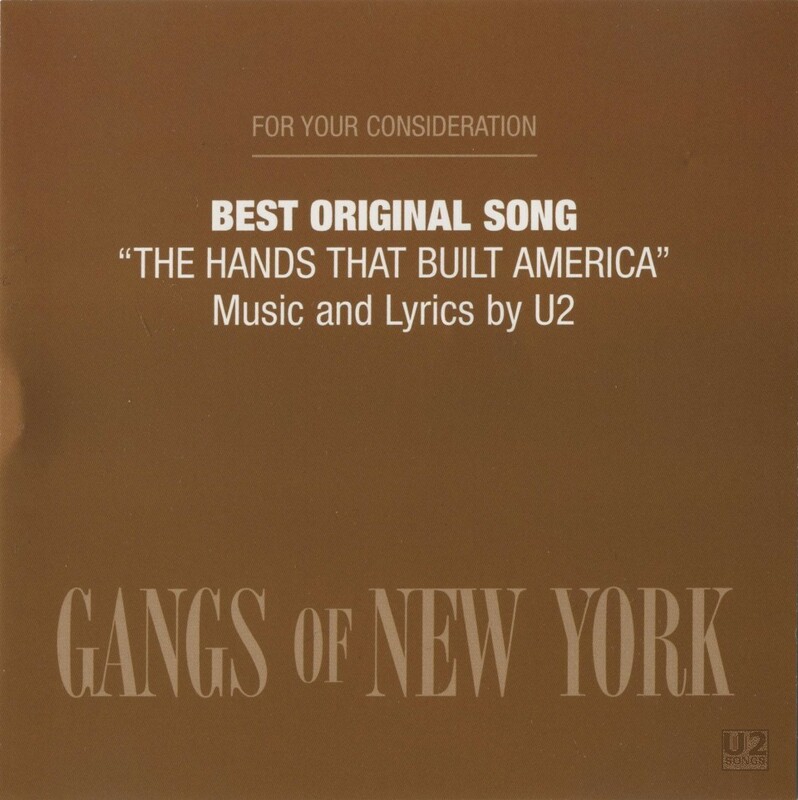 But the award show is complete, and includes footage of Bono arriving at the awards, as well as a live performance by U2 of “Beautiful Day” that has not been released anywhere else. Two different 5-inch CDRs were produced in search of awards. 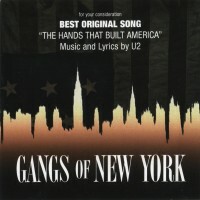 The first was a more limited version, and featured inserts with a colorful New York skyline. 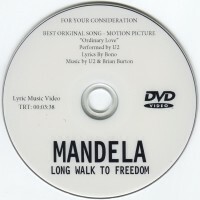 A second more common CDR came with a rather plain set of inserts with just text announcing the name of the song and the award category “Best Original Song”. 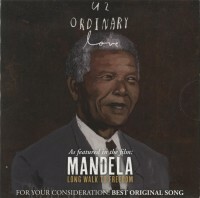 There’s a wealth of material out there that has featured U2 over the years being submitted for consideration for awards. “Winter“ from the soundtrack “Brothers” was submitted to the Golden Globes in the form of a 5-inch audio CD. Showtime submitted “From the Sky Down” by Davis Guggenheim for an Emmy as part of an 8-disc pack of submissions that year. 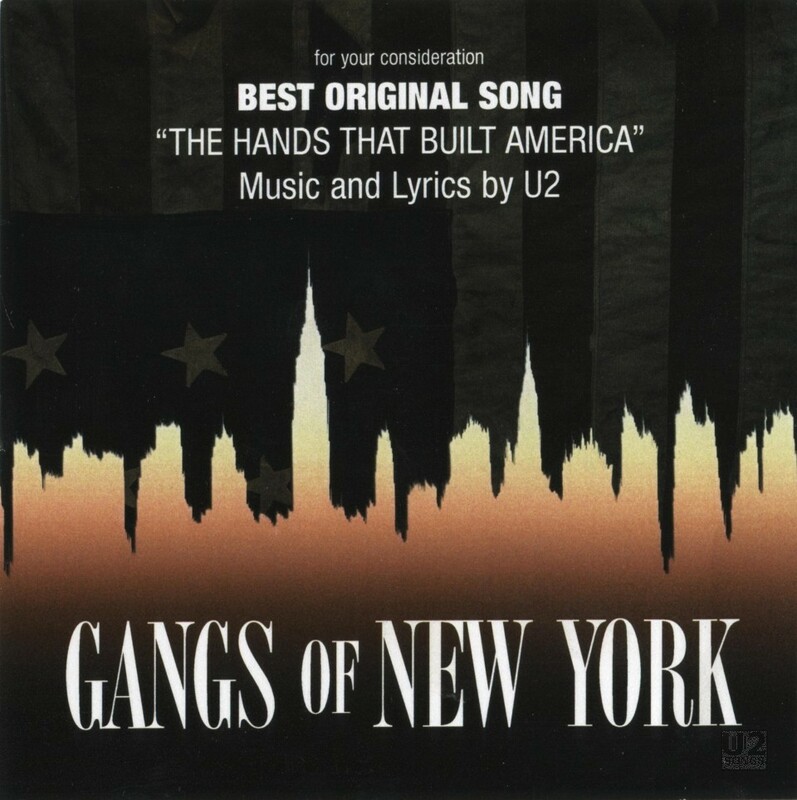 In 2003 Bono co-wrote the song “Time Enough for Tears“ for the movie “In America” and it was performed by Andrea Corr. 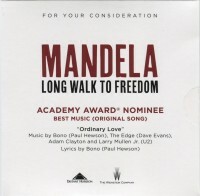 The song was submitted for an Oscar and Golden Globe, and a promotional CD containing the song was produced which not only contained the song by Andrea Corr, but five tracks from the score composed by Gavin Friday and Maurice Seezer. And in 1998, the ShowTime broadcast of “Live from Mexico City” was submitted on VHS for Emmy Consideration. Even as other outlets for media turn to digital distribution, it seems that the awards judges still like to receive the physical media. 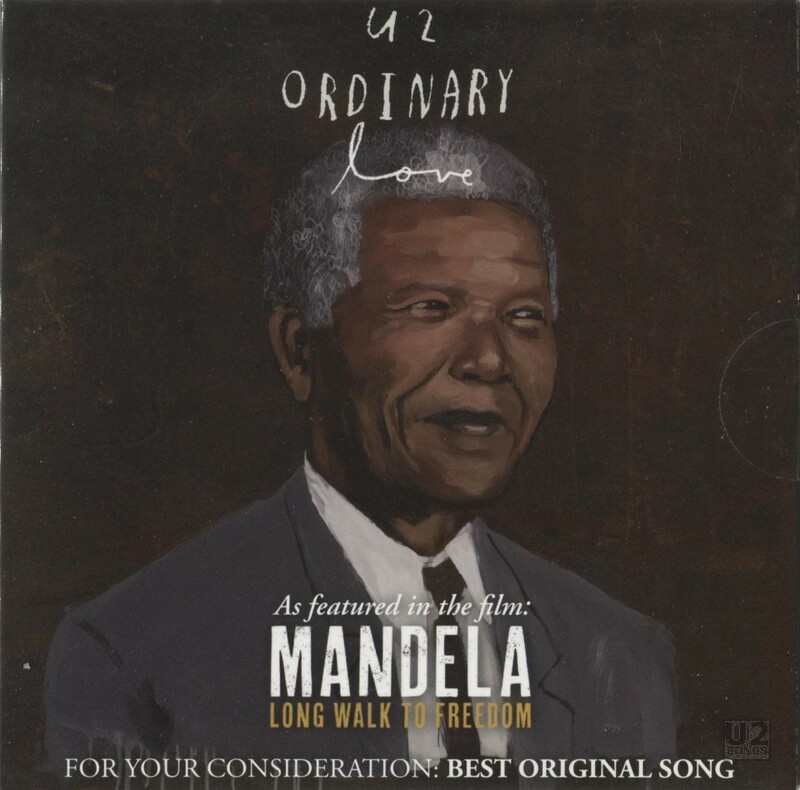 Hopefully as time goes forward and U2 vies for more awards, this continues and there will be some new gems to collect along the way.